Insects as a group occupy a middle ground in the biosphere between bacteria and viruses at one extreme, amphibians and mammals at the other. The size and general nature of insects present special problems to the student of entomology. 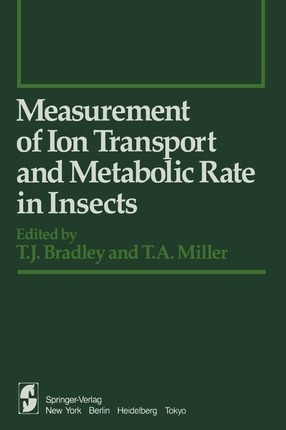 For example, many commercially available instruments are geared to measure in grams, while the forces commonly encountered in stUdying insects are in the milligram range. Therefore, techniques developed in the study of insects or in those fields concerned with the control of insect pests are often unique. Methods for measuring things are common to all sciences. Advances sometimes depend more on how something was done than on what was measured; indeed a given field often progresses from one technique to another as new methods are discovered, developed, and modified. Just as often, some of these techniques find their way into the classroom when the problems involved have been sufficiently ironed out to permit students to master the manipulations in a few laboratory periods. Many specialized techniques are confined to one specific research laboratory. Although methods may be considered commonplace where they are used, in another context even the simplest procedures may save considerable time. It is the purpose of this series (1) to report new developments in methodology, (2) to reveal sources of groups who have dealt with and solved particular entomological problems, and (3) to describe experiments which may be applicable for use in biology laboratory courses.